Donate a Photo App goes live! Help us to help a cancer patient use yoga to ease their symptoms just by uploading a photo! 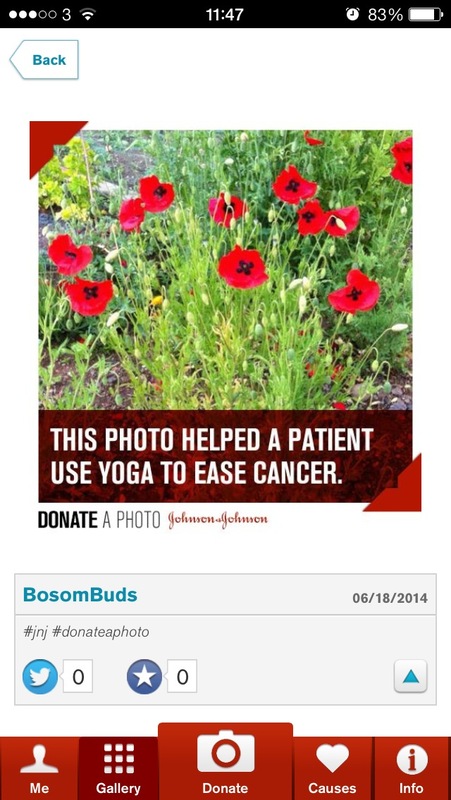 Each time you upload a photo to Bosom Buds of Scotland through the Donate a Photo app, Johnson & Johnson will donate $1 to help us run yoga and mindfulness classes for cancer patients. You can donate one photo a day until the donation period ends, or until we reach the maximum donation amount. Bosom Buds of Scotland will still receive the minimum donation even if the total raised is below the minimum goal.